James and Jennifer Hamilton, who have circumnavigated in their Nordhavn 52 Dirona, recently took a ride aboard Cochise and wrote a fascinating report for their blog. We are interested in all ocean-going power boats, but right near the top of the pack is the FPB series from Steve and Linda Dashew. We’ve seen many FPBs over the years as we completed our around-the-world run and the first thing that jumps out is that they are unfinished aluminum. 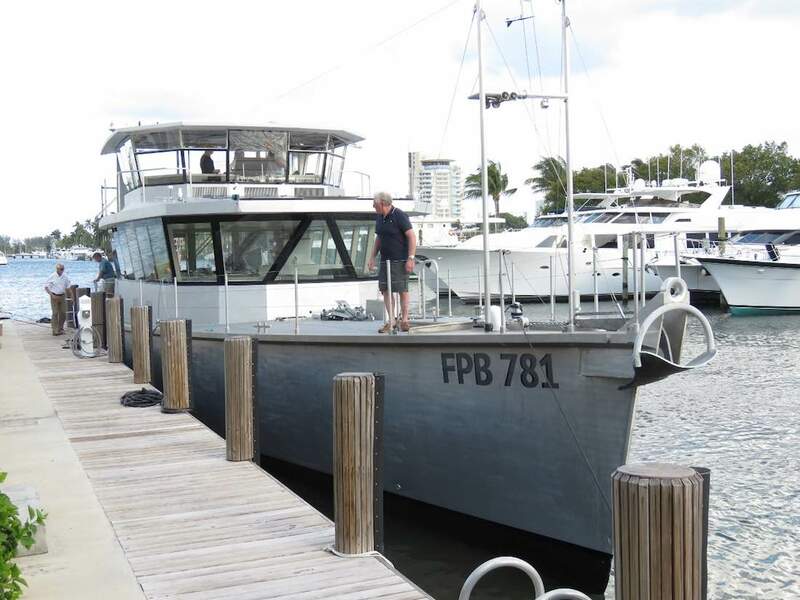 …So when Jeff Merrill of Jeff Merrill Yacht Sales, the West Coast Ambassador for FPB, called and invited us aboard, we jumped on the opportunity. It turns out it was an even better opportunity than we understood. Read the full blog here. Be sure to check out the discussions at the end of the article. James and Jennifer Hamilton have a widely read website: Dive in and explore at www.MVDirona.com. They are also authors of Cruising the Secret Coast: Unexplored Anchorages on British Columbia’s Inside Passage. The Hamiltons hail from Victoria, B.C., but more recently made Seattle their home. They currently are cruising the world in their Nordhavn 52 Dirona. This entry was posted on Wednesday, March 22nd, 2017 at 5:53 am and is filed under Dashew Logs, FPB 78, The Logs. Both comments and pings are currently closed.